Taken the morning of August 4 from Stagecoach, Colorado. 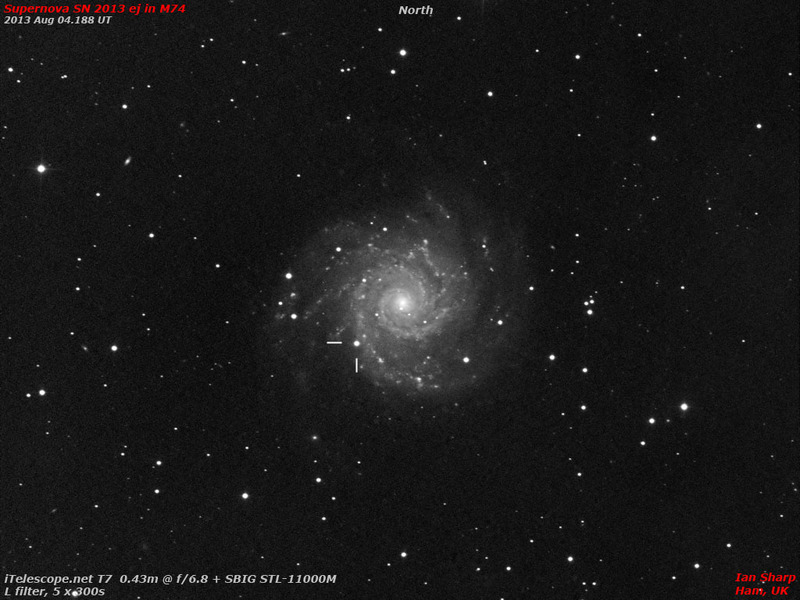 M74, SN 2013ej on August 5th, 07:10ut. 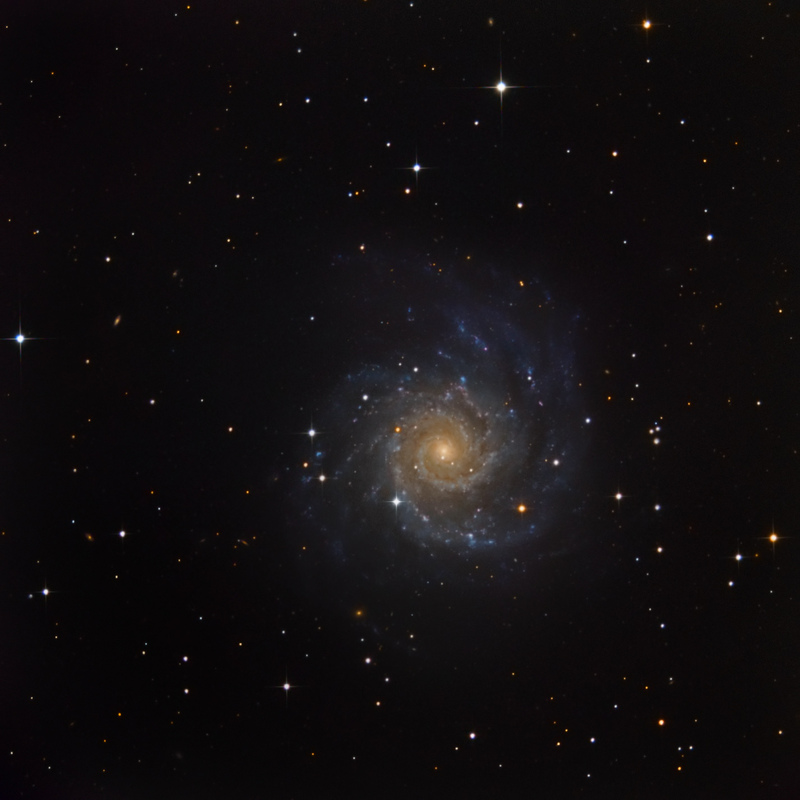 Spiral Galaxy M74 (NGC 628), type Sc, is located in the constellation Pisces. Bright knots of glowing gas light up the arms of this galaxy, indicating a rich environment of star formation. Super Nova (SN2013 ej) discovered blazing near 12.4 magnitude by the Lick Observatory Supernova Search the SN is marked on the top image. The supergiant star at least 8 times as massive as the our sun imploded as compared to lower earlier image of this Galaxy. 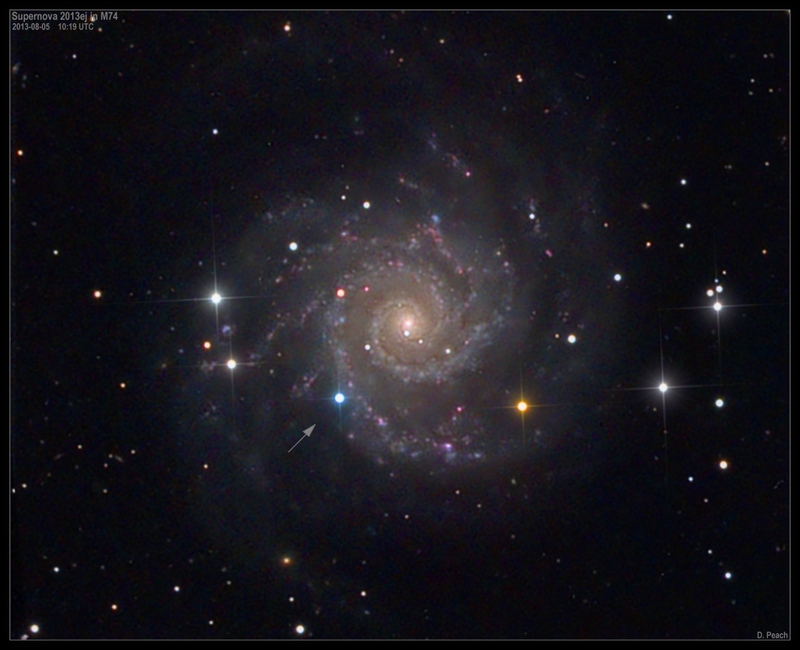 Super Nova SN 2013ej type II in M74 (NGC 628) in Pisces.